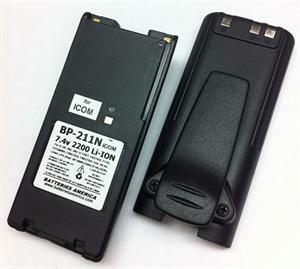 BP-211N : 7.4 volt 2200mAh rechargeable Lithium ION battery for ICOM radios. Ultra lightweight, ultra long life; includes heavy-duty spring-loaded Belt Clip. Fits IC-A24, IC-A6, IC-A6 sport,IC-V8, IC-V82, IC-U82, IC-F3GS/GT; IC-F4GS/GT; IC-F30GS/GT; IC-F40GS/GT; IC-F21BR etc. THis Li-ION battery is long-life, memory-free, and it retains its charge for up to a year when not in use. The BP-211N can be recharged with a Wall Charger (if your radio has a DC charge input jack), or with a desktop Rapid Charger (such as our EMS-211). Pricing is for 1 battery pack. Picture shoes both sides of a battery. 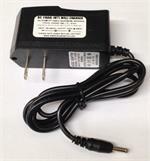 CP-11L: 12-24VDC Power & Charge Cord for ICOM radios. Fits IC-T90A, IC-T90E, IC-80AD, IC-91AD, IC-92AD, IC-A24, IC-A6; many others. Input: 12-24VDC. Output: 11VDC @ 2A max. Enables high-Watt operation, plus slow-charging of battery. CBE-210N: Battery eliminator for ICOM IC-A24, IC-A6, IC-V8, IC-V82, IC-U82 radios, etc. CBE-210N: battery eliminator for ICOM IC-V8, IC-A24, IC-A6, IC-V82, IC-U82, IC-F3GS, IC-F3GT, IC-F4GS, IC-F4GT, IC-F30GS, IC-F30GT, IC-F40GS, IC-F40GT, IC-F11, IC-F11S, IC-F21MG, IC-F21BR, etc. Enables high-watt operation of your radio from a 12V socket! BP-209N : 7.2 volt 1100mAh rechargeable Ni-Cd battery for ICOM radios such as IC-A24, IC-A6; IC-V8 / V82 / U82 / F3 / F4GS / F30 / F40 etc. Includes heavy-duty belt clip. Re-charges thru radio or in Desktop Chargers (such as EMS-210). BP-210N : 7.2volt 2000mAh LONG LIFE Ni-MH battery for ICOM radios. Includes spring-loaded Belt Clip. 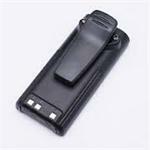 BP-210N : 7.2volt 2000mAh LONG LIFE rechargeable Ni-MH battery for ICOM radios. its the IC-A24, IC-A6, IC-V8, IC-V82, IC-U82, IC-F3GS/GT, IC-F4GS/GT, IC-F30GS/GT, IC-F40GS/GT, F21BR, etc. Includes heavy-duty spring-loaded belt clip. EMS-211: Desktop Rapid Charger for ICOM-style BP-211 & BP-211N 7.4v Lithium ION packs. Charges pack alone, OR insert the entire rig. Fast-smart charge, with automatic shut off. Includes UL-listed wall TX power supply.